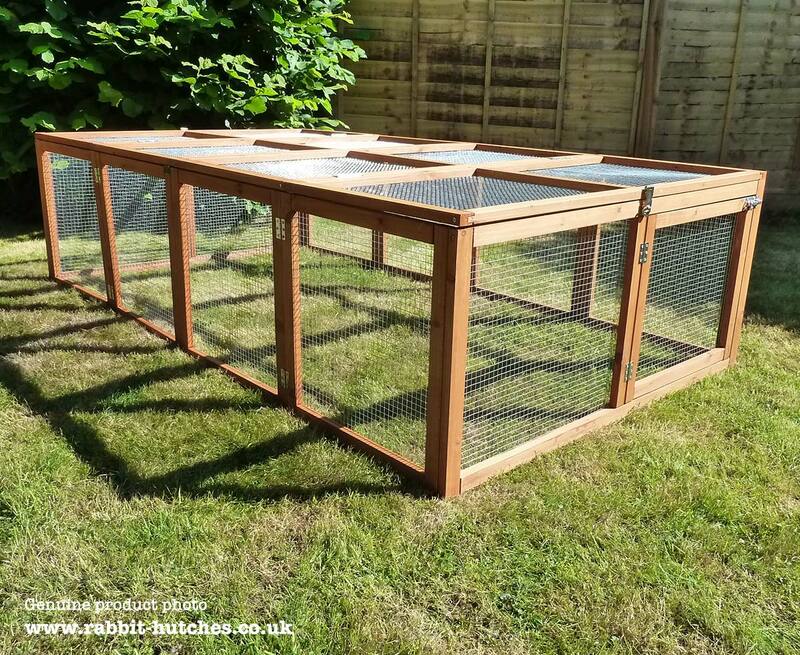 The large run benefits from a sturdy 20mm x 30mm thick framework and rust proof wire. 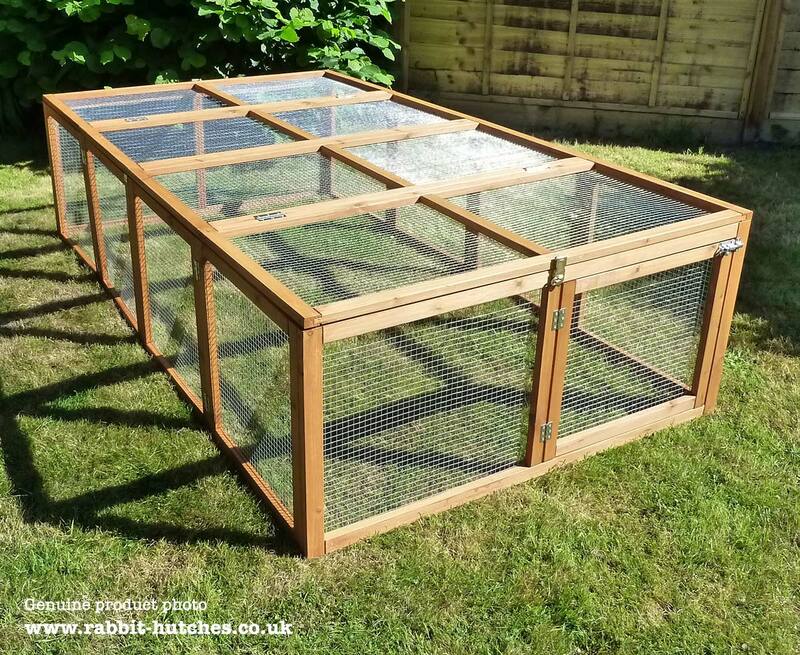 The roof panel folds back to give you access to either end of the rabbit run. It can also be completely removed if you so wish. 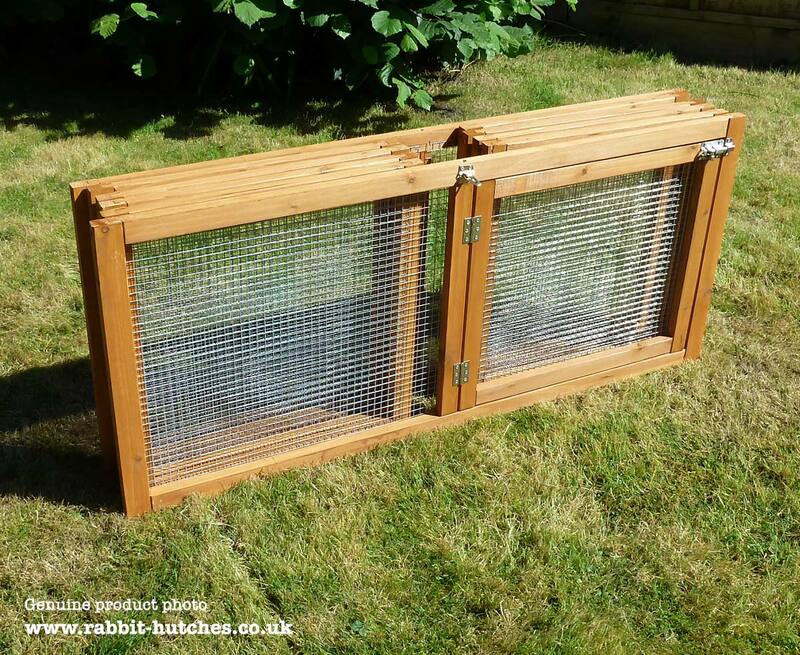 Probably the biggest benefit of the large rabbit run is that it can be quick and easily folded away when not in use. 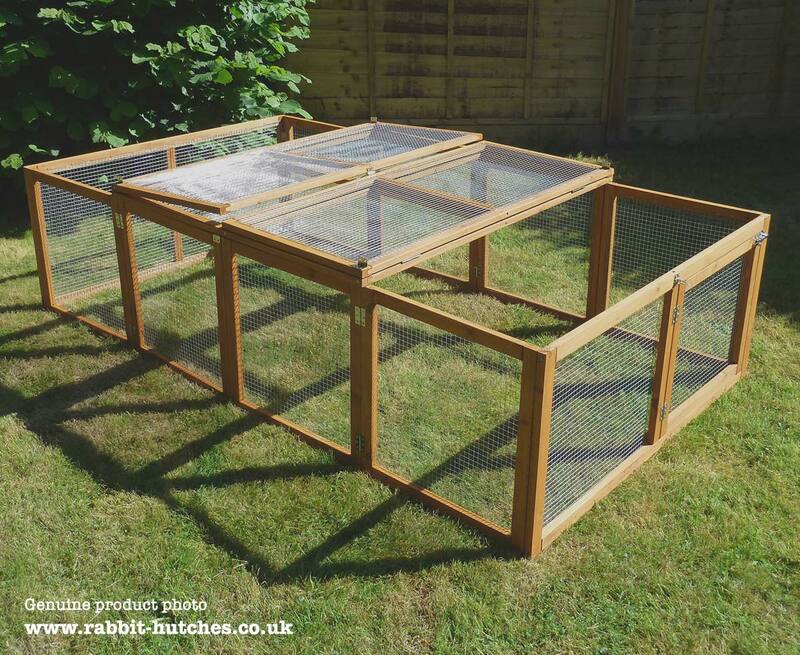 The large rabbit run has an excellent smooth finish and is built to last. By adding the HideAway Hutch inside you can give your pets somewhere to retreat to should the weather turn bad or they become scared.. 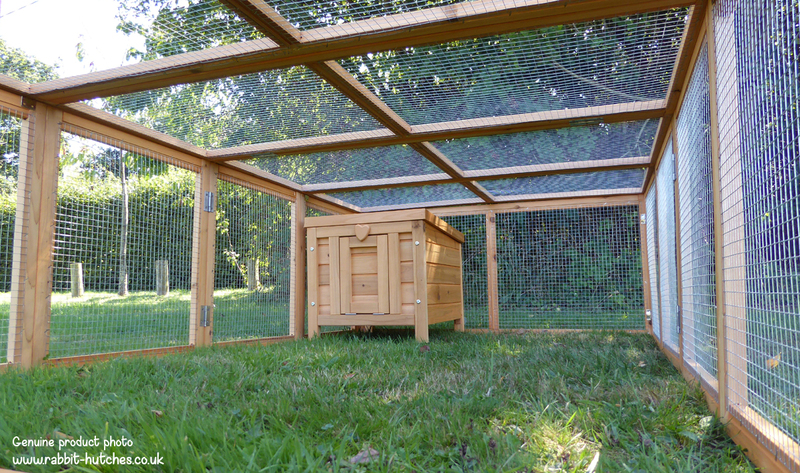 The large rabbit run gives your pets over 23 square feet of space to run around in. The large folding run is quick to assemble and can be easily folded away when not in use. It's also light weight enough to be moved about the garden. You can access any area of the run via the large folding roof panels.. It has an excellent smooth finish and the high quality wood has been pre treated with an animal friendly wood preservative. 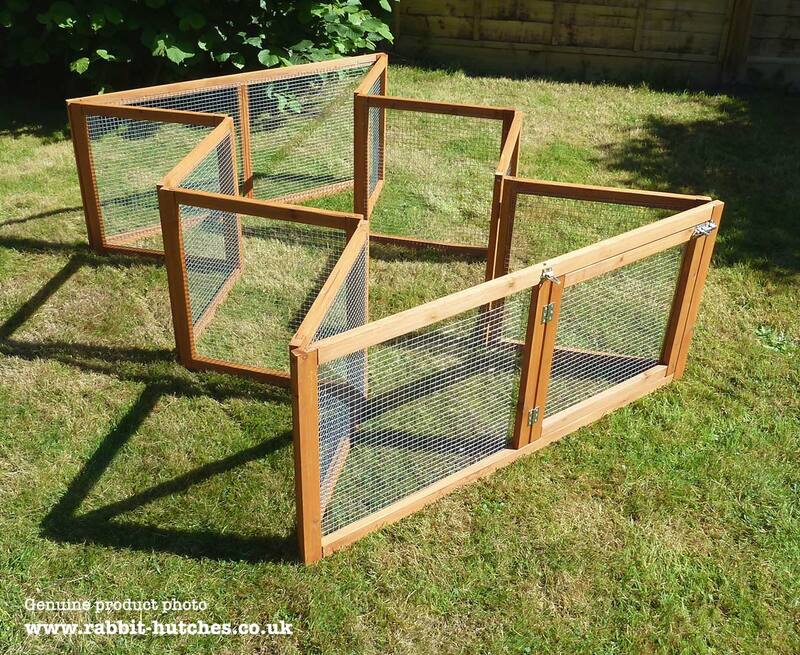 Ideal for guinea pigs and other small pets too. Included are the instructions with clear and concise diagrams as well as a bag of screws. Estimated construction time 5 to 10 minutes.